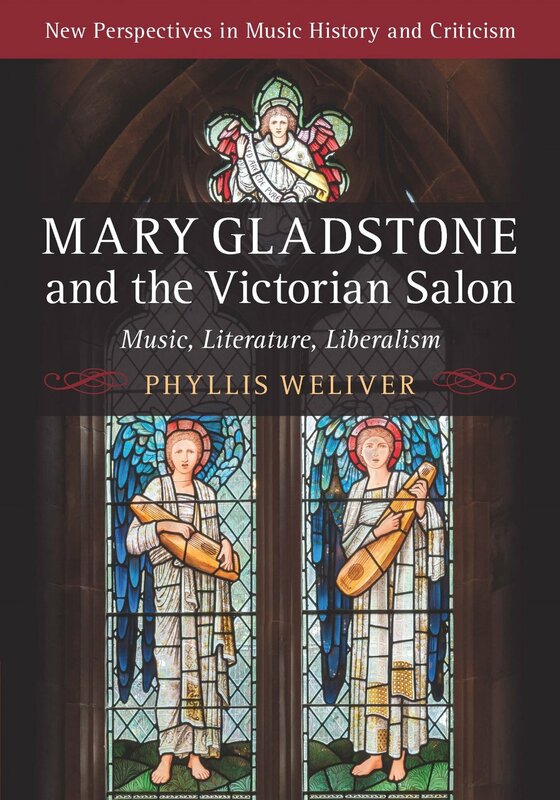 Phyllis Weliver, Mary Gladstone and the Victorian Salon: Music, Literature, Liberalism (Cambridge, 2017). Sir H. P. Mr I. Dean of St.P. Lady P.
When illustrious guests accepted the invitation to a “Thursday Breakfast” at 10 Downing Street, clearly they thought of it as the prime minister’s salon. Wouldn’t you, if you were one of the lucky nine invited to Downing Street? However, calling the intimate sit-down morning meal with witty repartee “Gladstone’s Salon” belies the family's contributions to this event. Perhaps it should really be called "The Gladstones’ Salon" (plural possessive). The prime minister's wife, Catherine (C.G. ), had a seat at the table, after all, and an additional three members of the family were also included (“5 at home”). When I was finishing the page proofs for my book, Mary Gladstone and the Victorian Salon, I found myself faced with a dilemma. Whose salon was it? Prime Minister Gladstone's, the Gladstone family's, or that of William Gladstone and his political hostess? The place of the apostrophe makes a significant distinction (Gladstone's or Gladstones'). It reveals the purpose of the gathering and the relative importance of people's roles. Clearly, in Victorian London the prime minister's salon was identified with the great man himself. Yet one point that I hoped to make with my book was the collaborative nature of one of the most important salons of mid to late nineteenth-century London. These weekly gatherings not only included Mrs. Gladstone and, often, her politically-minded daughter, Mary, but the women were the hostesses of the salon. By the early 1880s, Mary Gladstone managed the invitations, the flower arrangements, the frequent musical afternoons, and the networking at the event. She was eagerly sought as a conversationalist and nurtured close friendships with many of the influential men (mostly) who attended the Thursday Breakfasts. It was an amazing position for an unwed daughter, especially if we remember that we're talking about four generations ago (over 135 years). Mary was considered her father's "ear," but she was also known to be a legitimate power in her own right. Weliver, Phyllis. “What to Call a Political Salon in Victorian London." Gladstone's Daughter: Living Liberalism. March 2, 2018. Web log post. Date accessed (https://www.phyllisweliver.com/new-blog-1/2018/3/1/keucv6184nmhw9uiaeewlmkce5am5u).